Definitely Not A Drug Dealer & Co.
Hey kids, do you like money and making people really, really happy? Come trade dank commodities for DNaDD&C! Who needs Wall Street when you can lean against walls and work on the street? Buy a burner phone and call that guy you know and he’ll call that guy he knows and that guy will put you in touch with our “CEO.” Roll up to our recruiting event and we’ll give your resume a bump. 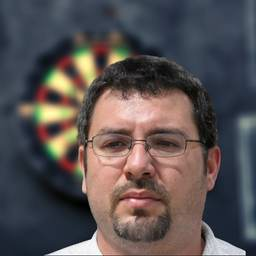 Hey honey, you’re not answering my calls so I thought I’d reach out through this Dartboard thing LOL! Put those honed communication skills to use and give me a call. Don’t forget to list Dad and me as references on your resume—we’re so proud of you! We can offer a competitive allowance if you mow the lawn and clean your room, but we love you either way! Hey, are you a pathetic Humanities major starting to stress out because all your friends with marketable skills are getting jobs? We’re a law firm or a library or something soft like that and we want students like you who can...what can you losers do? Read? Is that it? No wonder you’re unemployed. I don’t know, make sure our commas are in the right places and we’ll pay you $4 an hour (which is a lot for English majors) and you can waste some more time working on your novel or following your dreams or whatever it is you weaklings do all day.